For at least the next couple of days we’ll attempt to deal with some of the backlog of albums that accumulated during the week or so when the Rifftides staff was on vacation. 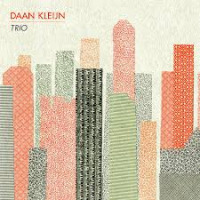 Kleijn has established himself in the jazz communities of both New York and the Netherlands. Based on his inventive and imaginative work here, it seems safe to predict that he will occupy an increasingly solid position among jazz guitarists. For further evidence, here is a link to video of the Kleijn trio’s bracing performance of a Cole Porter standard. Ms. Williams revisits two of her earlier songs, “Ventura” and “Dust” (the latter loosely based on a work by her late father, the poet Miller Williams). She also performs a new one, “We’ve Come Too Far To Turn Around,” which Lloyd introduces with a subtle tenor sax soliloquy. Harland accompanies her on that piece with a series of quiet drum commentaries. This isn’t Lucinda Williams’ album. 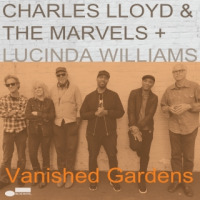 It is a triumph for Charles Lloyd, but it may also become one of her most successful recordings.